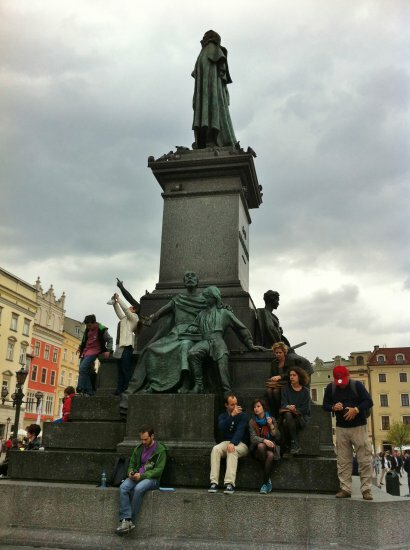 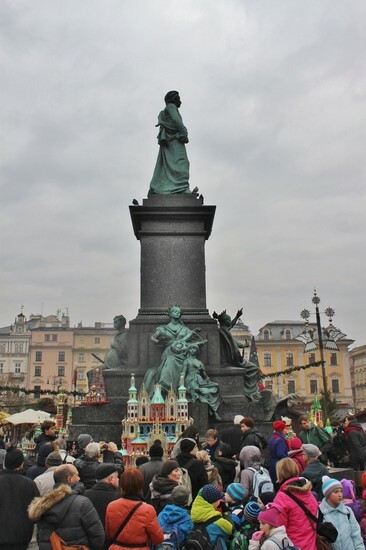 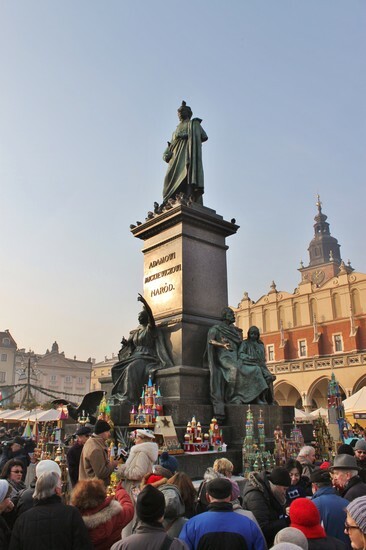 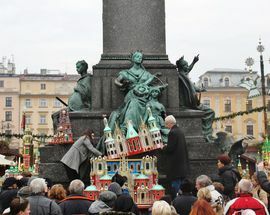 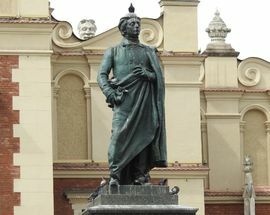 One of the most important statues in Poland, the large likeness of the romantic poet and national hero Adam Mickiewicz (1798-1855) was originally unveiled in 1898 to celebrate the centenary of the great man’s birth, and, like so many other symbols of national pride was destroyed by the occupying Germans during WWII. 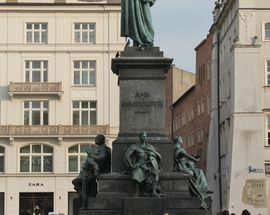 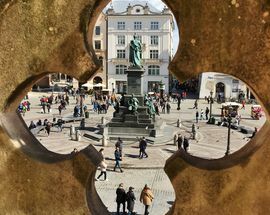 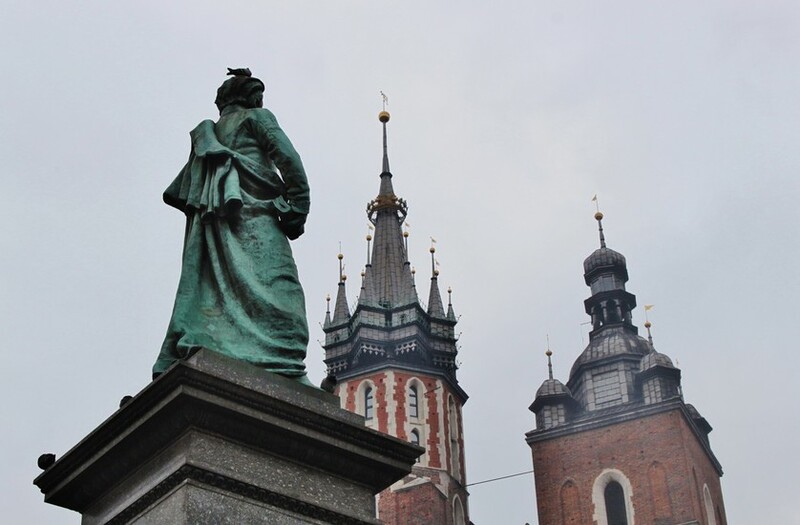 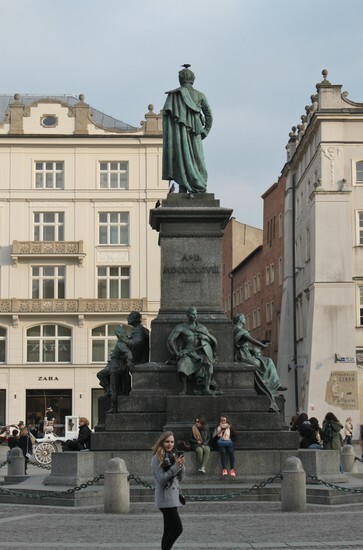 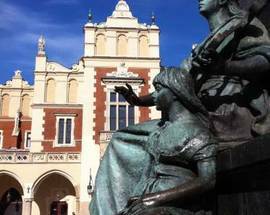 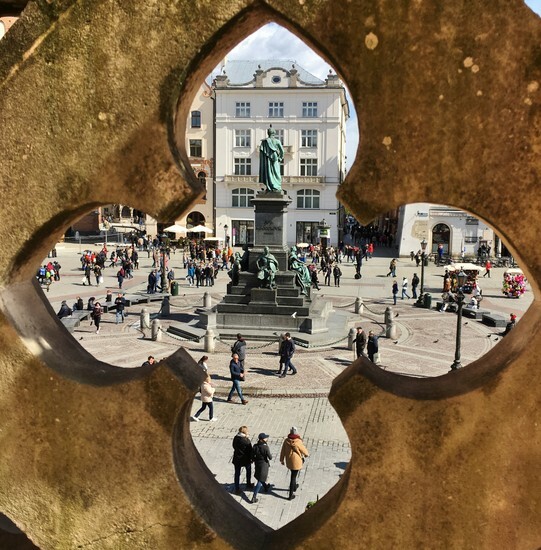 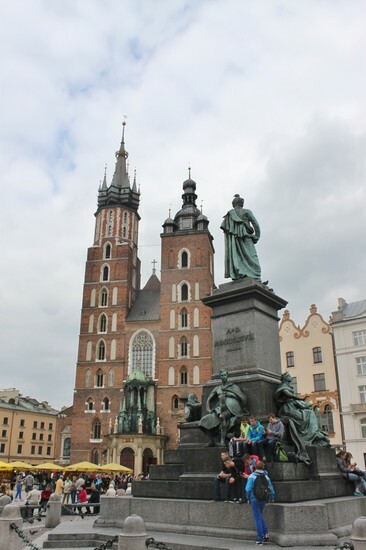 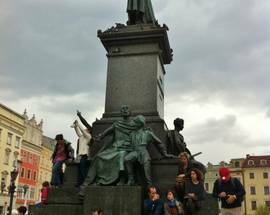 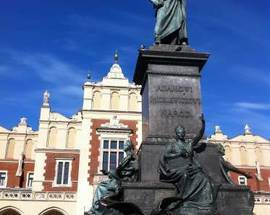 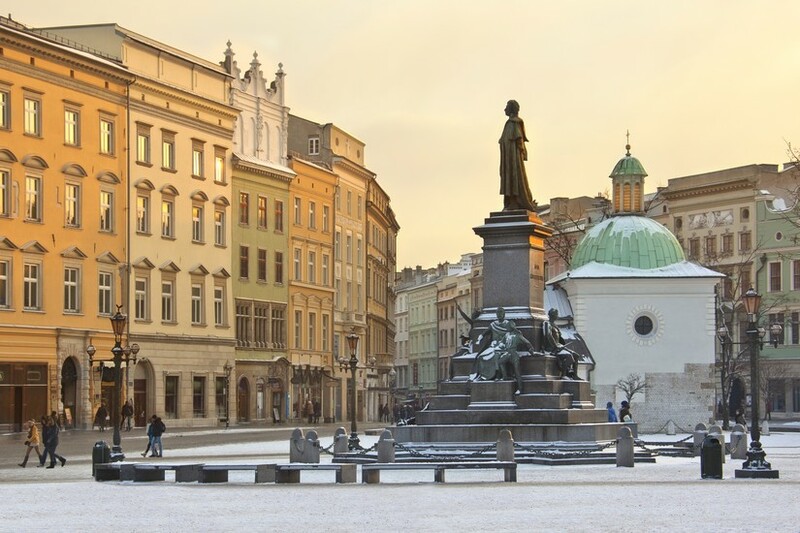 The statue that stands in the Rynek today is a 1955 copy of Teodor Rygier’s original, and is a popular and easily recognisable meeting place. 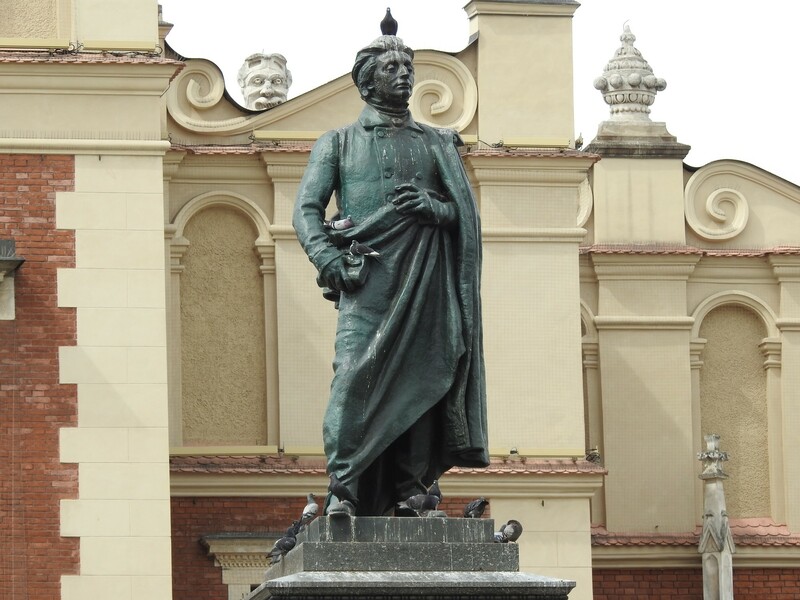 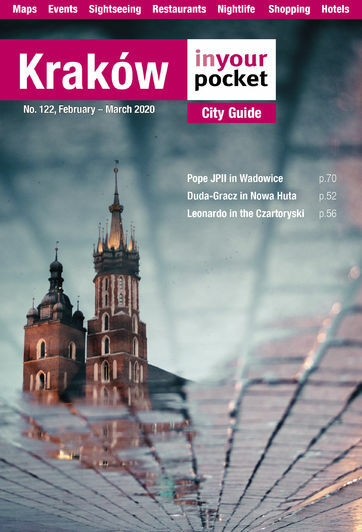 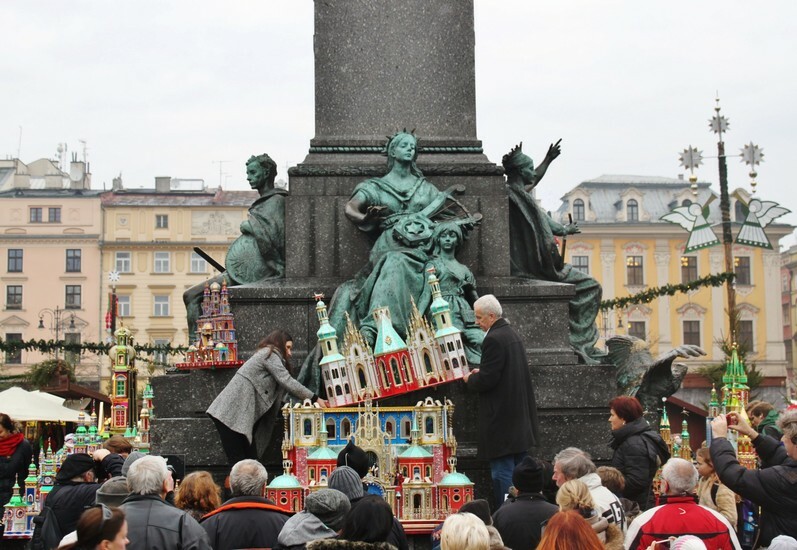 Lithuanian-born Mickiewicz (whose most famous work, Pan Tadeusz begins with the words ‘Lithuania, my country!’ and who is known and loved by the Lithuanians as Adomas Mickevičius) never visited Kraków until 35 years after his death. 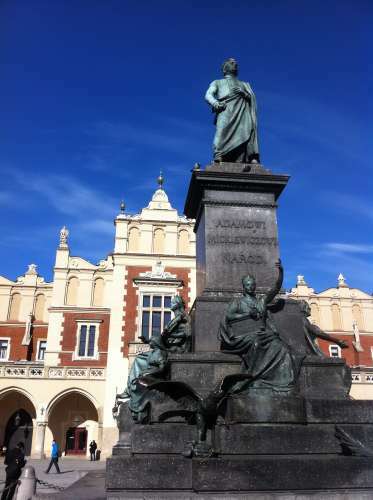 His body lies at rest in the Royal Crypts just down the road at Wawel.